which slices, chops, and cuts whole fruits and vegetables. 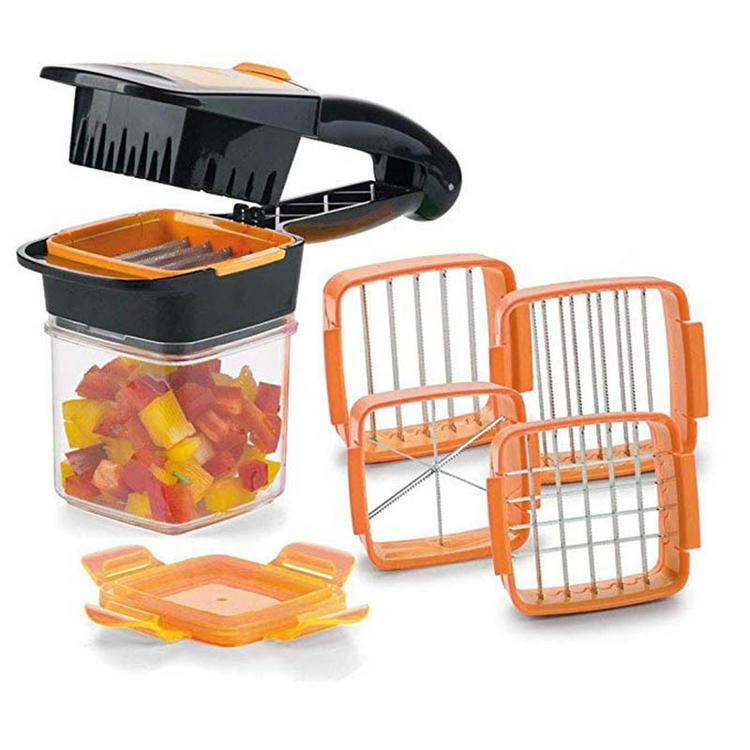 The storage container can attach to the slicing options so the chopped items can go directly into the container. The extra-sharp stainless steel blades are reinforced for fast, consistent results no matter they are soft or hard food. Simply insert the food, press it and everything is cut perfectly in seconds. Storage Container - Can keep the food airtight.